Get some timely gift ideas for the special guys in your life from this dapper blogger! You'd think that an online influencer who has worked with hundreds of brands including top fashion labels would have everything he could want already, but David Guison could still think of a few pieces missing from his wardrobe. 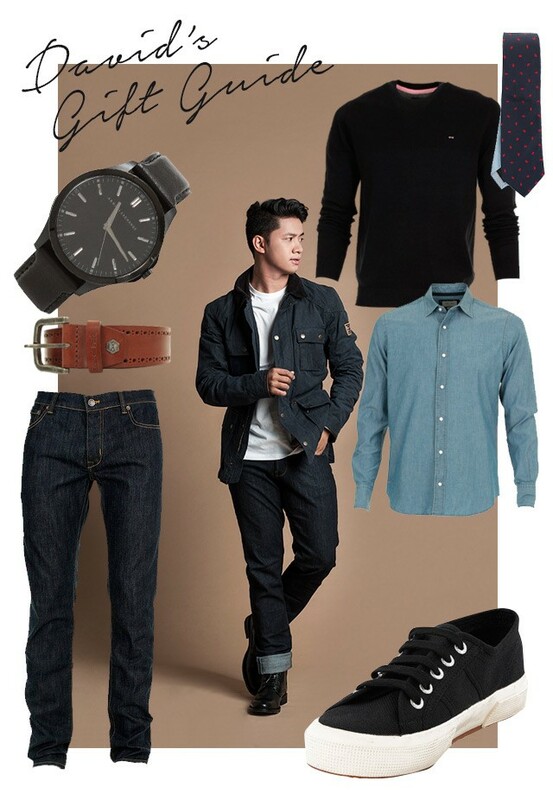 Of course, there are always tons of new outfit ideas he can curate and share in the top menswear blog, DG MANILA. David is a master of foolproof sartorial choices with his knack for spotting sophisticated basics and his fondness for neutrals. Of course, there's always that quirky piece or those striking colors every once in a while, and you'll definitely see this in his picks from SSI Life. That neat sweater by Eden Park or those pair of black sneakers from Superga will certainly be perfect for your brother or your man if he's outdoorsy like David. That classic Armani Exchange timepiece and stylish Eden Park leather belt will also suit any gent with the blogger's eye for style. Click here if you want to see David's full wish list.